For the past couple of weeks, we mostly focused on stabilizing the application, enhancing the user experience and getting the self-hosted beta ready. Modals. Feather now opens details about tasks, discussions and other project items in an overlay instead of navigating away from the page that you were viewing. This is similar to Quick View from ActiveCollab 4 and it makes everyday use a lot faster. Better Editor. We replaced the visual editor engine with a better, more stable implementation. This change is pretty much invisible, at least on the outside, but it covers a lot of issues with text input and significantly improves the user experience. Heartbeat. This is another invisible, but a massive improvement. 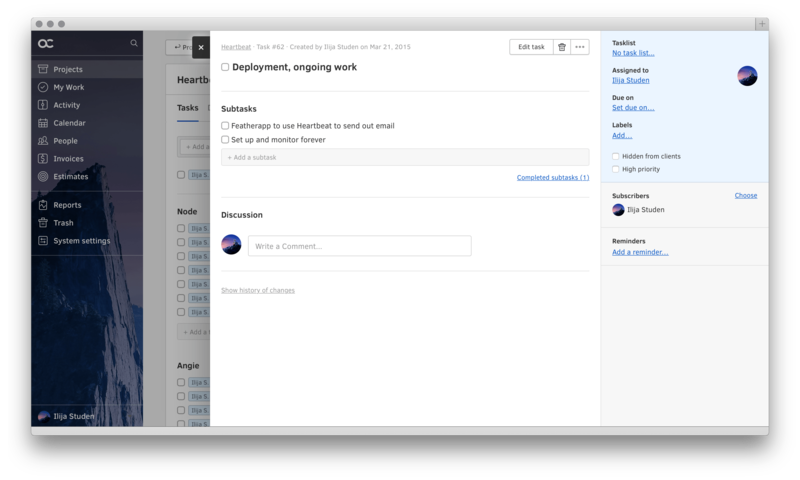 Heartbeat monitors and manages ActiveCollab installations. It makes sure that email is sent out and received (coming soon), handles reminders and Morning Paper delivery, watches over performance and much more. It's the key component to our self-hosting strategy and we rolled it out recently, so we could start beta testing for self-hosted installations. Apart from these bigger changes, the team shipped many cosmetic changes, stability improvements and bug fixes. 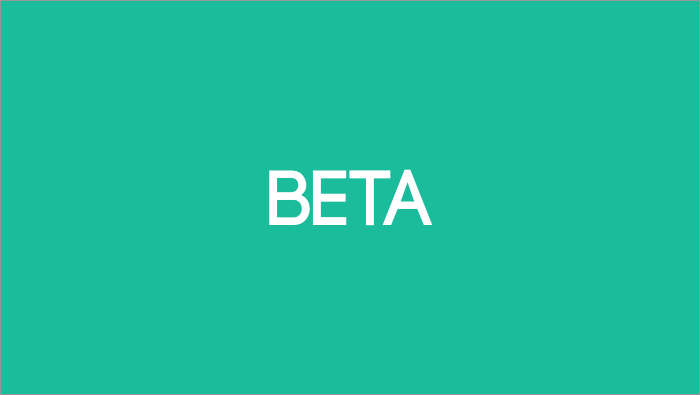 Thank you for beta testing ActiveCollab Feather and for all feedback that you sent us!